It’s tax time again! April 15, 2010 is the deadline for filing your 2009 tax return. The simplest of mistakes on your tax return can very well mean your refund may be delayed. 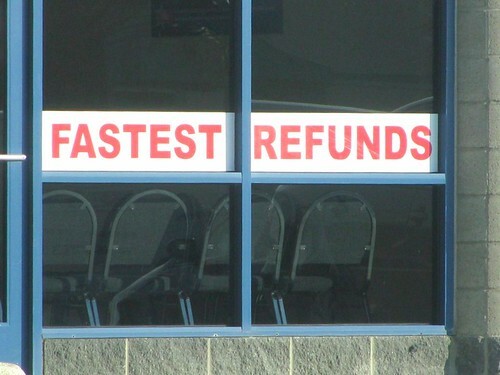 Don’t let your refund be delayed! You can easily avoid the five most common errors by paying attention to the most simple things. The most common error I can think of is forgetting to sign and date your tax return. An unsigned tax return is no different than an unsigned check. It is not valid. The IRS can’t sign it for you or accept your return without it! The second most common error is failing to enter the correct Social Security Number for yourself or anyone else listed on the return. Making the assumption that the SS#’s on the return are all correct may be a big mistake. Social Security Numbers must be entered exactly as they appear on the Social Security card. It is easy to overlook the spelling of a last name, especially if it is not the same as yours. Especially in today’s world not all of your dependents have your same last name. Make sure you don’t make this very simple mistake. The spelling must be exactly as it appears on the Social Security Card. This most commonly occurs on the Dependents last name. However, If I were Mike Krzyzewski, head coach for Duke basketball, I would have a problem spelling my own name … as well as pronouncing it! There are five filing statuses: Single; Married Filing Jointly; Married Filing Separately; Head of Household; and Qualifying Widow(er) With Dependent Child. A good example is that some people believe they qualify as “Head of Household” just because the are the primary “bread winner” for the family. The truth is to qualify as a “Head of Household” for tax purposes is relatively difficult and not all that common. The majority of people by far qualify as only either as “Single or “Married”. In most cases it is also to your advantage to file “Married Filing Joint” if you have a spouse … but not always. Save yourself some trouble and check it out before you file. See Publication 501, Exemptions, Standard Deduction, and Filing Information to determine your correct filing status. If you requested Direct Deposit make sure the number you entered is correct. Don’t automatically assume the number transferred from last years Turbo Tax or filing is still applicable and accurate. Be sure to review the routing numbers and account numbers for your accounts and financial institutions. Another Common error this year, not quite as obvious perhaps as the five listed above, is properly claiming the Making Work Pay Tax Credit. In 2009 and 2010, the Making Work Pay provision of the American Recovery and Reinvestment Act provides a refundable tax credit of up to $400 for working individuals and up to $800 for married taxpayers filing joint returns. This tax credit will be calculated at a rate of 6.2 percent of earned income and will phase out for taxpayers with modified adjusted gross income in excess of $75,000, or $150,000 for married couples filing jointly. (What ever happened to Obama’s definition of middle class being people making less than $250,000, $200,000 ??? … I guess he meant families making less than $150,000 or individuals making less than $75,000.) I missed that part! For people who receive a paycheck and are subject to withholding, the credit will typically be handled by their employers through automated withholding changes. These changes may result in an increase in take-home pay. The amount of the credit will be computed on the employee’s 2009 income tax return filed in 2010 and the employee’s 2010 tax return filed in 2011. Taxpayers who do not have taxes withheld by an employer during the year can also claim the credit on their 2009 and 2010 tax returns. How will the Making Work Pay tax credit affect you? Most wage earners will benefit from larger paychecks in 2009 and 2010 as a result of the changes made to the federal income tax withholding tables to implement the Making Work Pay tax credit. However, some people may find that the changes built into the withholding tables result in less tax being withheld than they prefer. If you’re not eligible for the Making Work Pay tax credit, withholding changes could mean a smaller refund next spring. The Making Work Pay tax credit, normally a maximum of $400 for working individuals and $800 for working married couples, is reduced by the amount of any Economic Recovery Payment ($250 per eligible recipient of Social Security, Supplemental Security Income, Railroad Retirement or Veteran’s benefits) or Special Credit for Certain Government Retirees ($250 per eligible federal or state retiree) that you receive. If you are affected by this reduction, you should review your withholding to ensure that sufficient funds have been withheld to meet your tax obligation. It is not necessary to do anything to get the automatic withholding change. However, an employee with multiple jobs or a married couple whose combined income places it in a higher tax bracket should consult the IRS withholding calculator and, if necessary, submit a revised Form W-4, Employee’s Withholding Allowance Certificate, to ensure enough tax is withheld. Publication 919, How Do I Adjust My Tax Withholding? provides additional guidance for tax withholding including a special Making Work Pay worksheet. So, … the simplest way to make sure you get what you have coming without delay is to sign and date your return; check all Social security numbers on your return; make sure you can spell your name and all the name of your dependents (it helps if you know them all); select the correct filing status; and double check your bank account numbers. The first five Items are “No Brainers”. The last one, Making Work Pay Tax Credit, requires a little thought and research. It is easy to forget, however, and worth the effort. Boomers Beware! It’s your money, make sure you get what you have coming.